Goschen. A little bird oasis in a very dry part of the country. The little map dot name “Goschen” has quite a reputation among birdos who are in the know. This little area of scrub only a couple of football grounds around has at various times of the year an opportunity to spot a large number of species without much trouble. See some of the many blogs that tell tales. See Ian Smissen’s recent post. Mr An Onymous and his lens were there as well, so we plotted a day at Goschen. Only trouble was the weather. The day we travelled up it was 40C. About 120 in the water bag as my old Dad used to say. So we went to Goschen early early in the morning. And inspite of the heat, and the overcast sky the birds did play a bit of a treat for us. A Hooded Robin pair were probably the single highlight. 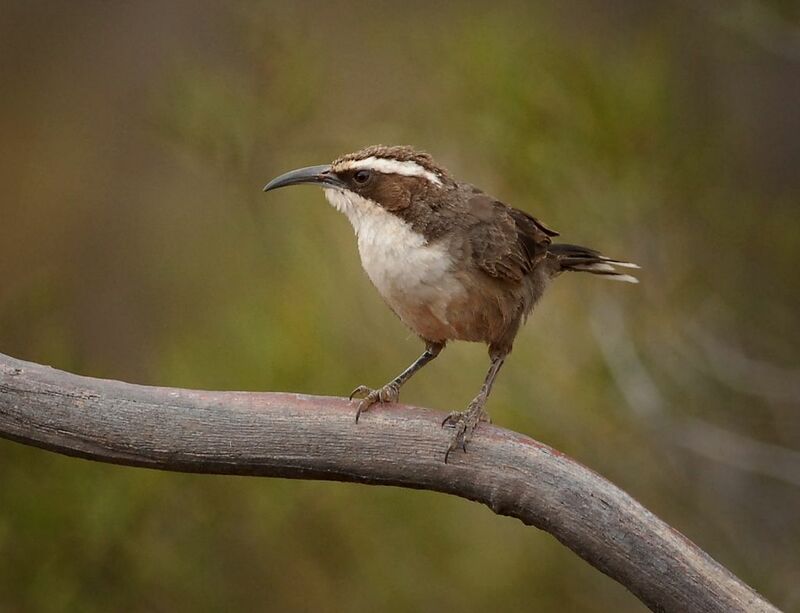 But that is not forgetting the Honeyeaters, and Treecreepers and an Australian Hobby. A small flock of Budgerigars were a nice addition to the day. We also did a bit of a diversion down to the Tresco Nature Reserve (Its about 10 mins from Goschen) and scored some Blue-faced Honeyeater as Blueb-bonnet Parrots for our efforts. Being an ex local lad, I figured we’d follow some back roads to Kerang, pick up a pie at Gray’s Bakery and have lunch there. One of the back roads is called just that. Back Quarry Road. Its really only a link for the farm machinery between paddocks, but has a good stand of mallee on one side. 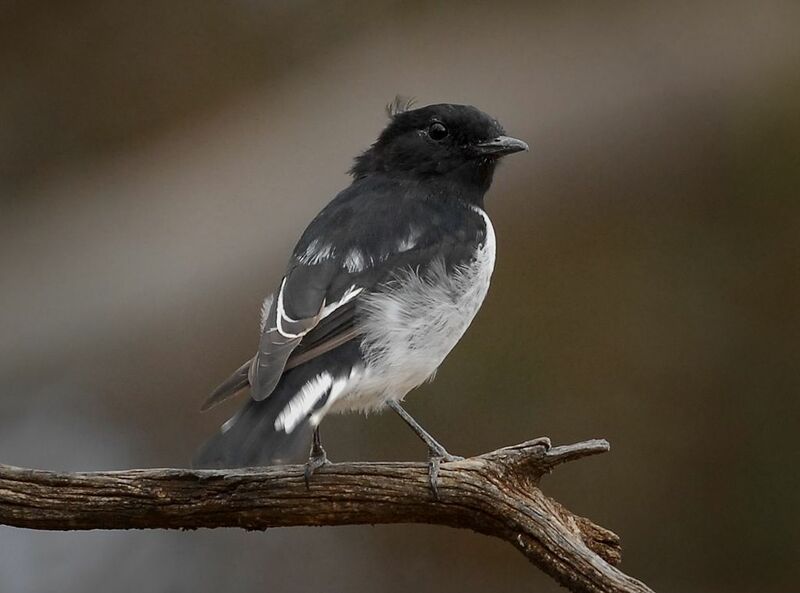 The new lens played a great note and he got a super series of a Pied Butcher Bird being fee. Also a few Mallee Ringnecks and Blue Bonnets. We made a futile attempt at Lookout Lake, and ended up at the pie shop. Sure enough still great pies after all those year. Sign said 200metres to Bakery. It took us about 3 goes round the block to figure it out. Sort of missed the big building labelled “Bakery”. No wonder we can’t find birds. A stop at the Kerang Ibis rookery seemed sensible, and as soon as we got of out the car the call of a Whistling Kite pair echoed across the carpark. We located them well down the ‘nature’ track by the lake. Too many trees for great shots, but lovely to hear them exchanging calls. Last stop for the day was the Little Murray Wier, and again the big lens was working hard. 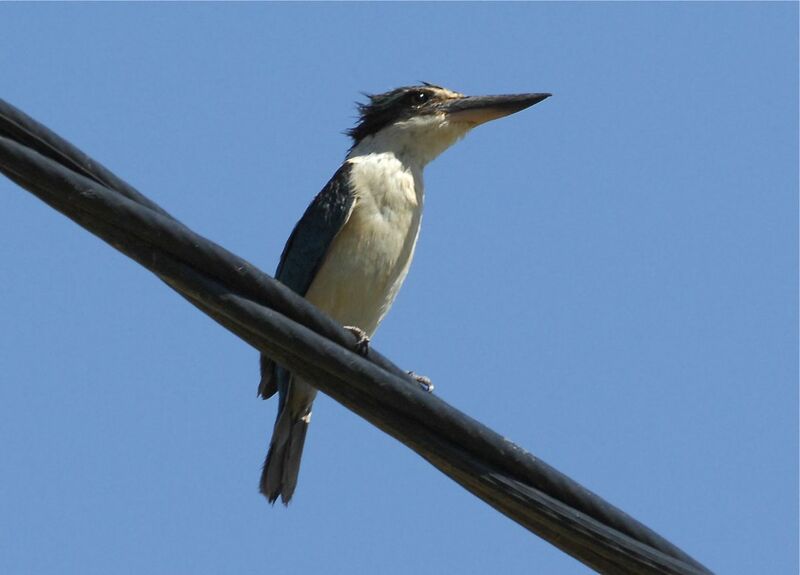 And a Nankeen Night Heron and then a patient Sacred Kingfisher rounded out a nice day. Ont the way back past the Swan Hill Aerodrome (I was thinking Kestrels) we came across Steve (who drives harvesters at Quambatook-, but that’s another story) and his front yard. In the air above said driveway was a couple of Whistling Kites. Nice. We went back out in the late evening sunshine on spec. and. There were Ten Kites up over the recently cut wheat/hay/lucern. Spect– tack-ular. Goschen even in the middle of a heat wave still had enough to keep us busy. Brown Treecreepers in deep discussion about people with long lenses interrupting a perfectly good days outing. A very patient Sacred Kingfisher, as we manoeuvred into the best spot for a shot. 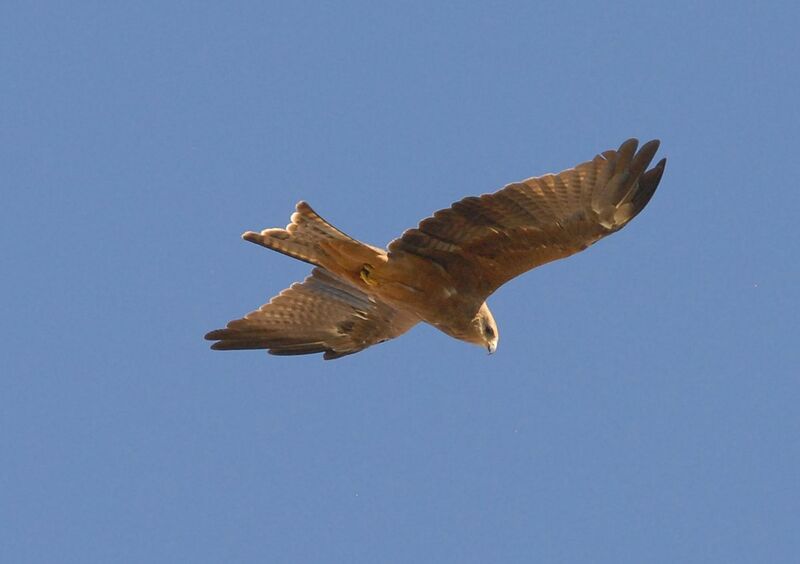 Whistling Kite in the evening sunshine near Swan Hill. Great series of shots Dave. You done well. Looks like the new lens is a winner. Interesting couple of days. The weather was just hot. But, I suppose that’s like it all over. It’s his new lens, (Mr An Onymous), and he has a few that really are outstanding. Goschen is one of my favourite places but it is a long way for a daytrip. Really like your Hooded Robin…maybe the same bird I caught a month ago? Probably, not likely to be two families in that small area. Didn’t get a good enough shot of the female/juvenile, although he did feed it. It’s hard for a day trip, works for me on family gigs. Just like one in early spring! The only downfall of this place is that it’s best when hottest as the summer migrants come in from parts further north. I had a excellent day there in July 2012. Just didn’t have enough time to explore a lot. Went right on sunup, great light just streaming over the horizon, nothing out there to stop it! 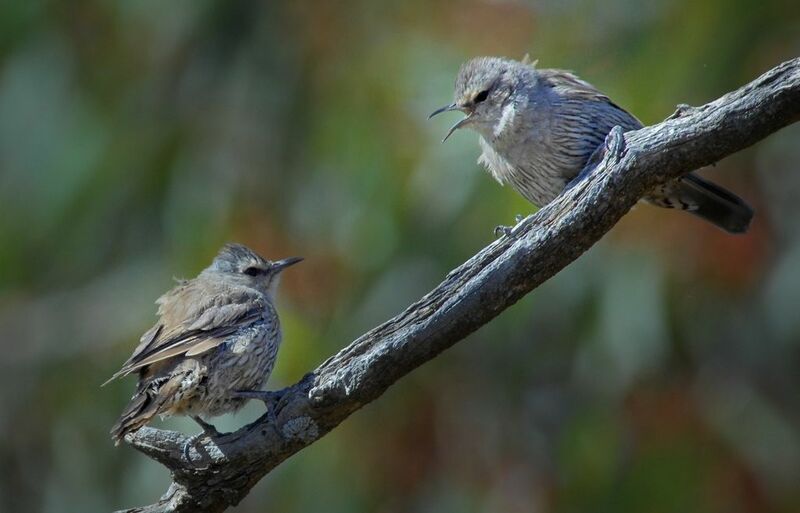 Good honeyeaters and Babblers, No robins. I’d love to do a day or so just on the turn of the season when the migrants both ways are on the move. One day, I guess.